Sandella’s has worked hard to perfect the flatbread recipe, using only the finest ingredients. It is all-natural and contains no artificial flavors or colors and is the perfect complement to a healthy diet as it is fat free, trans-fat free and low calorie. We pride ourselves in offering premium quality, health conscious food that is also great tasting! We offer a 10% discount to all active military, law enforcement and emergency personnel. View our menu below or download a printable version here. Our version of pizza topped with an array of different ingredients over a slightly crispy flatbread crust. A mix of explosive flavors fused together inside our lightly toasted flatbread. A Mexican favorite loaded with cheese and other tasty ingredients between our fajita seasoned flatbread. Romaine lettuce topped with tomatoes, crumbled feta cheese, black olives and red onions served with light balsamic vinaigrette. Romaine lettuce topped with grilled chicken, Parmesan cheese and croutons served with light Caesar dressing. 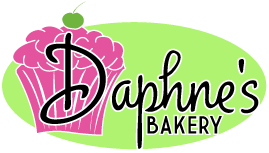 Assortment of Daphne’s pastry and baked goodies, call for selection and pricing. 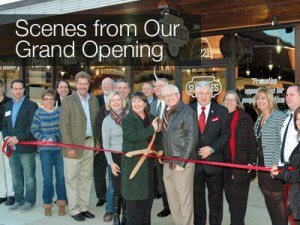 Second Street Sundries, owned by GHA Autism Supports, opened on January 19, 2015 with a mission to provide employment opportunities for the individuals with autism that the non-profit agency currently serves. The café and coffee shop serves a wide variety of moderately priced food items for dine-in or carry out and participates in the We Proudly Serve Starbucks program. The agreement allows the establishment to serve a variety of Starbucks brand coffee products including brewed coffee and espresso beverages. GHA Autism Supports is a 501(c)(3) private, non-profit organization headquartered in Albemarle, North Carolina that was developed in 1978 as committed parents recognized a need for services for individuals with Autism Spectrum Disorder. The first residence became home to five children, ages 5 -12, and as the children grew in age, the organization also grew. Additional services were developed to meet the needs of older teens and young adults. In the organization's 38 year history, GHA Autism Supports has expanded from an agency serving five children to one that currently supports over ninety individuals in programs providing residential, vocational, educational, community and in-home services. In 2014, the Board of Directors and leadership of GHA Autism Supports recognized a need to provide more employment opportunities to the individuals they serve to assist in meeting their maximum physical, social, emotional and intellectual potential. The agency purchased the vacant building at 221 North Second Street in downtown Albemarle which is conveniently located next door to the GHA Autism Supports central office operations. Second Street Sundries has been in operation since early 2015. In addition, the licensed day services program relocated in mid-2015 to the same building and operates out of the bottom floor. Monday - Saturday 7:00 a.m. - 4:00 p.m. Happy Hour runs 2:00-4:00 pm each day! We offer a 10% discount to all active military, law enforcement, emergency personnel, educators and seniors (55 and up). Credit/debit orders must be processed in advance or correct amount must be given to delivery person.